Disguise fatigue and stress with the Glowbiotics CALM AFTER THE STORM Soothing and De-Puffing Eye Cream. 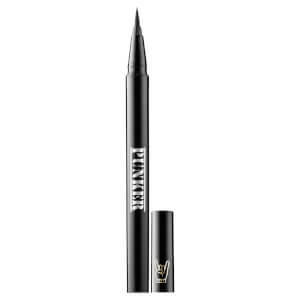 Specifically designed to cater for the delicate eye contour, the luxurious treatment instantly refreshes skin with a unique metal applicator for an enhanced cooling sensation. A lightweight, advanced formulation of natural extracts and active complexes works to lift and tighten, including TEGO Pep 4-1 – a unique, bioactive tetrapeptide that boosts elasticity levels to reduce the appearance of wrinkles. The addition of the SymCalmin complex helps to alleviate the look of redness and irritation, while Eyeliss + Haloxyl has been clinically proven to visibly tackle dark circles and puffiness. The eye area is left feeling immediately refreshed and replenished, with a tightened and toned texture and youthful looking radiance. Not tested on animals. Free from parabens, xenoestrogens, FD&C dyes. Use AM/PM. Gently squeeze a small amount and glide the cooling metal applicator back and forth across the under-eye area. Use clean finger to smooth in any excess until absorbed. May be used on eyelids. Water/Aqua/Eau, Caprylic/Capric Triglyceride, Glycerin, Cetyl Alcohol, Polyglyceryl-3 Methylglucose Distearate, Cetearyl Alcohol, Dimethicone, Cyclopentasiloxane, Beta-Glucan, Oenothera Biennis (Evening Primrose) Root Extract, Physalis Angulata Extract, Hesperidin Methyl Chalcone, Allantoin, Bisabolol, Hydrolyzed Manihot Esculenta Tuber Extract, Cucumis Sativus (Cucumber) Fruit Extract, Hydroxyphenyl Propamidobenzoic Acid, Aloe Barbadensis Leaf Juice, Coffea Arabica (Coffee) Seed Extract, Dipeptide-2, Sodium Hyaluronate, Tetrapeptide-21, Palmitoyl Tetrapeptide-7, Palmitoyl Oligopeptide, Ascorbyl Palmitate, Tocopherol, Tocopheryl Acetate,Pentylene Glycol, Caprylyl Glycol, Chrysin, N-Hydroxysuccinimide, Hexylene Glycol, Octyldodecyl Stearoyl Stearate, Butylene Glycol, Carbomer, Polyacrylate-13, Steareth-20, Polysorbate 20, Chlorhexidine Digluconate, Potassium Sorbate, 1,2-Hexanediol, Polyisobutene, Sodium Hydroxide, Benzoic Acid, Sodium Benzoate, Ethylhexylglycerin, Phenoxyethanol.